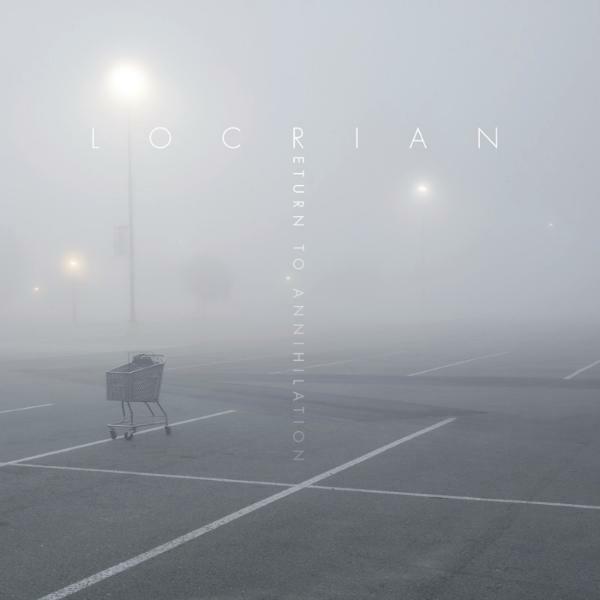 Esoteric, experimental artisan’s Locrian are currently streaming their forthcoming full-length Return To Annihilation via Spin.com at this location. Spin describes the album as a “an eclectic float down murky, noxious, sludgy waters” and compares the group to everyone from Boards of Canada to Sunn0))) to Neurosis. Return To Annihilation was recorded by Greg Norman (Pelican, Russian, Circles, Serena Maneesh) at Steve Albini’s Electrical Audio Studios in Chicago, IL and mastered by Jason Ward at Chicago Mastering Service. The album will be released as CD, 2xLP, and digital formats on June 25 in North America, June 21 in Germany, Austria, Switzerland, Benelux, and Finland, and June 24 in the UK and rest of the world. Physical CD and 2xLP pre-orders are available via Relapse at this location with digital pre-orders available via Bandcamp here. Locrian, located in Chicago, IL and Baltimore, MD, released over 20 recordings on an eclectic array of labels in their relatively short but prolific career. Additionally, the group announced a short run of dates this June plus an appearance at Kentucky’s Boomslang Festival in September. The shows kick off on June 27 in Montreal. A complete list of dates is included below. This entry was posted in METAL and tagged Baltimore, Boards of Canada, Brooklyn, casa del popolo, Chicago, eclectic array, Electrical Audio, Genesis, June, King Crimson, Locrian, Locrian Greek, metro gallery, Montreal, montreal qc, Neurosis, Pitchfork, Serena Maneesh, spin magazine, st vitus, Stereogum, steve albini, Sunn O))), YES. Bookmark the permalink.